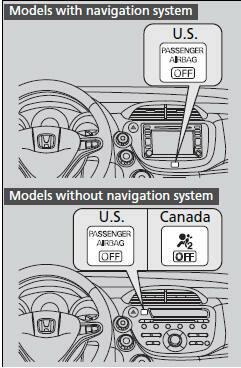 If a problem occurs in the airbag system, the SRS indicator will come on. The indicator comes on for a few seconds, then goes off. This tells you the system is working properly. 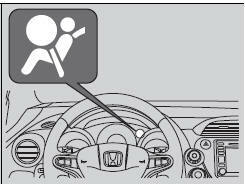 If the indicator comes on at any other time, or does not come on at all, have the system checked by a dealer as soon as possible. 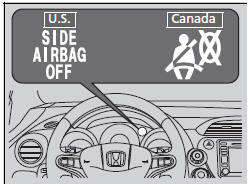 If you don’t, your airbags and seat belt tensioners may not work properly when they are needed. indicator should come on for a few seconds and then go out. If it doesn’t come on, stays on, or comes on while driving without a passenger in the front seat, have the system checked by a dealer as soon as possible.